Dare I say it? 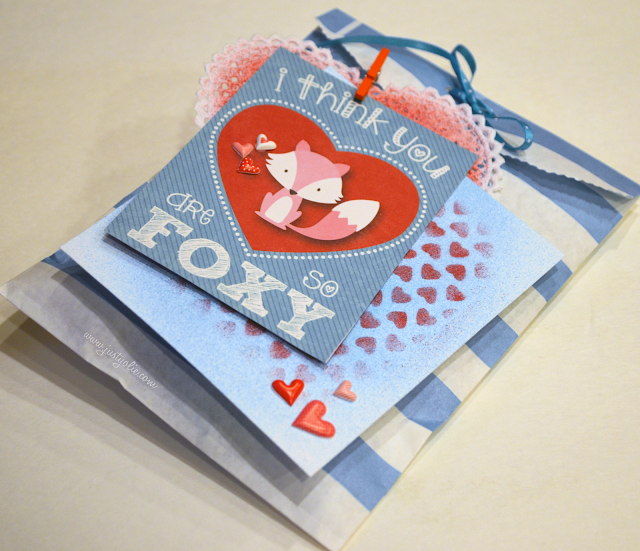 I will....it's time to get crafting for Valentine's Day!! I haven't put away Christmas yet, but I'm jumping on my Valentine's Day crafts. It's a quick and easy project. You can whip this treat bag in no time. 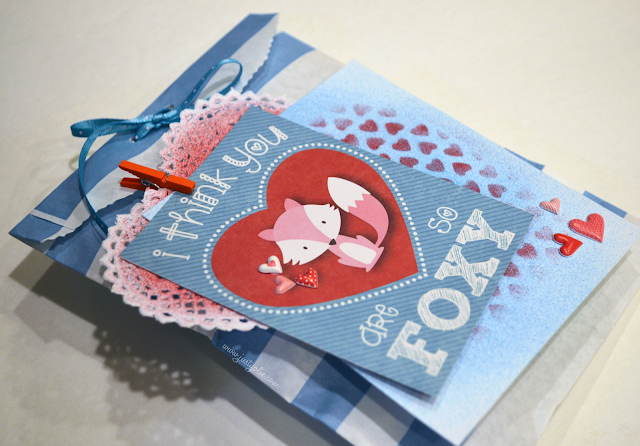 You will need a love theme paper, white card stock, heart shaped doilies, heart stencil, treat bag, embellishments, ribbon and the eBrush with red and blue Sharpies. I first used the blue marker to cover some of the white card stock. 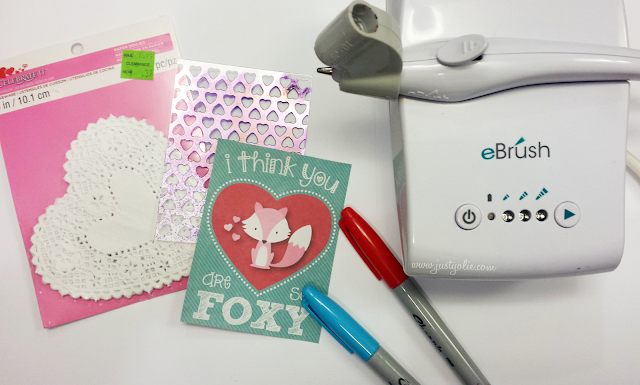 I then took the heart stencil from Latina Crafter and eBrushed with the red Sharpie. Using the first setting on the eBrush, I went over the heart doily with red, leaving the scallop edge white. I layered my pieces and adhered them to the treat bag. I added puffy hearts and an itty bitty clothes. Here's another view. I also folded the flap of the bag and punched two holes and tied the ribbon.